Peru will play host to the Esri Latin America User Conference this year. GIS users will converge on Lima, Perú, and Munich, Germany, next month for Esri’s regional user conferences—the biggest celebration of “all things GIS” outside the annual Esri International User Conference (Esri UC) in California. The Esri Latin America User Conference (LAUC), October 16–18 in Lima, and the Esri Europe, Middle East, and Africa User Conference (EMEAUC), October 23–25, in Munich are part of a series of regional User Conferences. The two events will be followed by the Esri Asia Pacific User Conference (APUC), November 12–14, in Singapore and the Esri Africa User Conference (AUC), May 6–8, 2014, in Cape Town, South Africa. Regional User Conferences combine the best of the Esri UC with the best solutions, success stories, and promising projects created by the top GIS talent of each region. Each event is packed with technical workshops, demonstrations, exhibits from vendors, paper sessions, seminars, and social events such as galas. 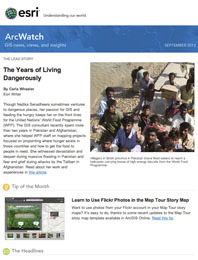 However, these events offer Esri important feedback, too, says Esri president Jack Dangermond. Plan to attend, and prepare to immerse yourself in GIS. You will hone your GIS skills and fine-tune your analytical abilities at training sessions, seminars, and workshops led by Esri staff and other experts. You’ll have ample time to network during lunch and breaks. You’ll return home with knowledge, tools, confidence, and connections that will help you on the job, contributing to helping your organization advance in today’s technically complex, digitally oriented business world. Esri president Jack Dangermond visits the Map Gallery at last year's Esri Middle East and Africa User Conference in Abu Dhabi, United Arab Emirates. More than 500 people from all over Latin America are expected to attend LAUC at the JW Marriott Hotel in Lima, Perú. Hosted by TELEMATICA, Esri’s distributor in Peru, the event will include participants from 19 countries, making it the region’s largest GIS event. “The LAUC is Latin America’s premier venue for users of all experience levels and from all fields that use GIS,” says Renzo Vidalón, TELEMATICA marketing manager. Besides offering workshops, technology demonstrations, and user presentations, LAUC will host a GIS Solutions EXPO that will include 14 exhibitors from the Esri Partner Network. Participants will also get to work with Esri product specialists and GIS professionals, who will show them how to best use their current GIS resources. According to Vidalón, LAUC will offer two days of preconference seminars this year, as well as five days of postconference training. Register today to attend LAUC. You can still register for EMEUAC in Munich, which Esri Deutschland GmbH will host. About 2,000 people from 44 nations are expected to attend. You will see what's new in Esri software and services during the technology demonstrations at the Esri Europe, Middle East, and Africa User Conference in Munich, Germany. 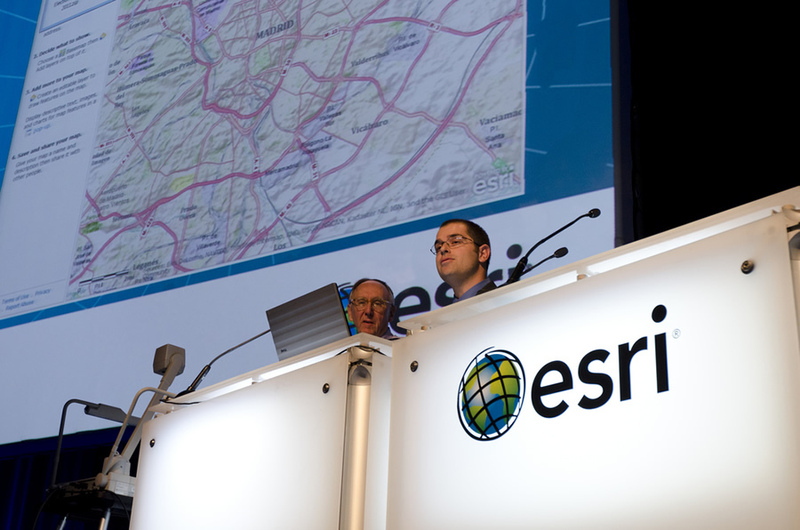 Michael Sittard, president of Esri Deutschland, says the event will focus on the release of ArcGIS 10.2 and web GIS. “GIS experts will show how you can efficiently leverage your business by using innovative apps, content, 3D GIS, and location analytics to transform your organization,” Sittard says. GIS training sessions in German and English will be held October 22–23. An Esri Education GIS Conference for teachers, students, lecturers, and professors will be held on those same days. Guest speakers will present innovative GIS projects in their fields. Dangermond will speak at the Plenary Session. The next day, product specialists from the United States and Europe will demonstrate the latest developments in server, desktop, and online GIS. More than 50 exhibitors from around the world will showcase their technology and offer their expertise. The EMEAUC will also have a special exhibition area for startups and science companies.